The meaning of the Durga in Sanskrit is a fort, or is a place which is very difficult to reach. And one more meaning of durga is Durgatinashini meaning is the one who removes your sufferings. Hindus believe that Durga Devi protects her devotees from the evils of the world and removes there sorrows. 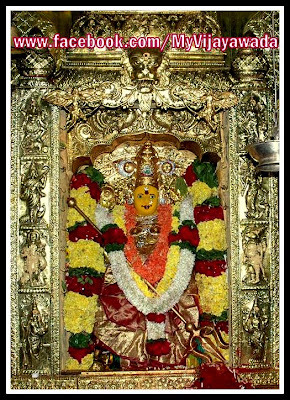 She has Simha vaahini means Loin is her vehicle, she is Trinayani means she is a three eyed Goddess. So durga Devi appears on Astami day to kill Mahishasura (an inhumane force/ a demon with buffalo face) with three eyes and eight arms with holding many weapons and red color saree and beautiful jewellery is made by gold and ocean pearls and precious stones. On this Durgastami day people believe in praying Durga Devi with red color flowers, cloths and read Durga saptashati or Devi mahatyam and offers Pulagam or Kadambam Annam as prasadam.